Yeah, I know, I did a post about this but what I'm talking about now is skin care. Only use what works for your skin type and quit buying things your skin doesn't need. My complexion is 'normal' with a tendency to be sensitive to harsh treatments; I don't need a hundred and one products dealing with problems I don't have and neither do you. I know we all like to try new things but remembering to introduce new products one at a time so we can take note of the effect they have is really important. Piling a ton of new products onto your face is going to make working out which one broke you out that much harder. Also: if you find something that works really well, it's OK to stick with it. The skin you have is not going to change. When it comes to the condition of your skin a lot of it is down to genetics and that, my friend, is never going to change. I'm not talking weather changes making your skin oilier or drier than usual, I'm talking about whether you generally have "good" (normal, dry) or "bad" (acne prone, oily) skin. Of course, certain things can change your skin type (puberty, pregnancy, illness, etc.) and particular products can ease problems (acne treatments) but as a rule you're stuck with what you were born with. Just work hard at treating your skin well. Marketing beauty products all revolves around people's insecurities; whatever you're insecure about there will be a product to convince you it can solve all your problems. Ignore the claims about "miracle solutions" especially when it comes to age or genetic related concerns (fine lines, wrinkles, dark circles, etc.) do your own research and take care of your skin knowing certain things simply cannot be changed. The only skin care that really matters is cleansing, exfoliating, moisturising, and sun protection. Barring acne or blemish treatments, you really don't need anything other than an exceptional cleanser, exfoliator, moisturiser, and sun protector. You don't need those overnight treatments, those skin peels, those "miracle serums" or any other baloney the brands want to flog to you, those are just wants. So long as you get your essential skin care products down, you can do what you want with the rest of your money just don't scrimp on the important stuff. 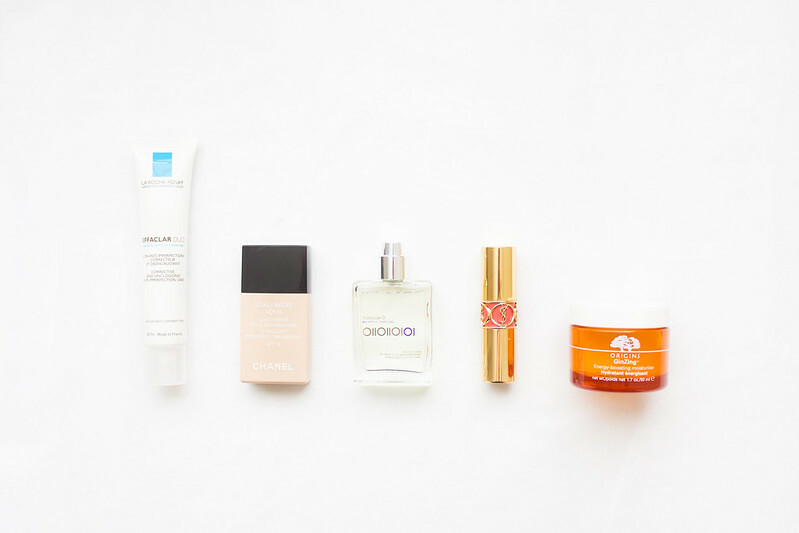 This is such a good post - I have such a minimal skincare routine but that's what works for me! Having struggled with sudden onset adult acne I've fallen foul of hunting after perfect products and seeking out miracle serums. Really what you need is time, patience and a bit of savvy when it comes to reading an ingredients list! £££ too much monies spent on 'Holy Grail' products that just don't work for my skin. these are the exact things blogging has taught me, especially about sticking with things that work! i really agree with you on that last point especially, they are the most important steps and i think if you have the money and have done your research then by all means invest in a nice serum with skincare benefits and do facemasks when it suits you but they are not completely necessary to your skincare routine. i see those things as bonus products i can use when i feel like it or when i feel my skin needs it, but the basics are what everyone should be doing and we don't all need everything under the sun.